12 hours of non-stop research, multiple power naps and many cups of coffee. 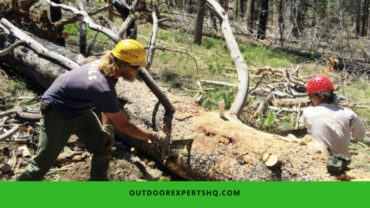 All these efforts were made in the process of uncovering the best hiking knee braces present in the market today. 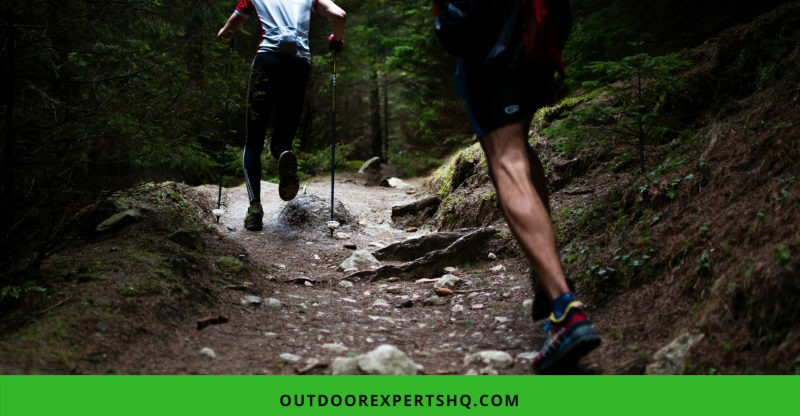 According to us, it is the VIVE Hinged Knee Brace which secures the top spot among the 5 best knee brace brands most suitable for hiking and other similar activities. It outshines all the other products of the same range by quite a margin. A more affordable option will be the IPOW 2 Pack Knee Pain Relief & Patella Stabilizer Knee Strap Brace Support. The knee strap is used to protect the knees from sudden jerks and probable injuries while undertaking physically challenging activities. So our new year resolution was to get in shape or be more healthy (whatever false hope makes us pumped about the new year!). And we just remembered that a quarter of the year has just flown by. Anyways, we still have the rest of the year to us or so we think! Now, we are going to start from today itself! Let us just collect the workout necessities first. The term knee brace sounds familiar but we don’t have much experience with the kind that the doctors don’t forcibly make the injured and the elderly wear. Well, Google to the rescue! Information overload drowns us within 15 minutes of the research process. So we do the wise thing and keep reading this blog further to know the key factors we need to consider while buying this mythical armor called the knee brace! We all are different and yet the same. This is the case with the various knee braces that each one of us requires. The four main types of knee braces are sleeves, supports, stabilizers, and hinges. The knee sleeves come with a specific size and we can just slip them over our knees quite easily. Now, the knee supports are usually wrapped around the knees and are adjustable in nature. They offer additional warmth and compression too. The knee stabilizers are a bit more advanced and have steel springs installed on two sides that will eventually cover both sides of the knee. They are used to obtain advanced support for their use. In the most tricky or delicate cases, the hinged knee braces are used. They provide the most advanced level of support which is required to restore or maintain the natural motion of the knee. These hinges facilitate the motion of the knee in the required manner. Depending on the style, there are five main categories of the knee braces. These are the pull-up sleeves, wraparounds, knee straps, magnetic braces, and the neoprene braces. The pull up sleeves are mainly used in the case of minor injury or pain. It is important to get the correct size with them since that factor decides whether they will be beneficial or useless to us. When the injury causes swelling around the knee or we just need more range with the fitting of the knee brace then the wraparounds turn out to be a good option. The knee strap is used to cure a number of knee-related conditions such as the Jumpers Knee, ITBS & anterior knee pain. Magnetic braces have inbuilt magnets that accelerate the healing process and reduce the pain in a speedy manner. Heat retention is done most efficiently with the help of a neoprene brace which is used to reduce pain and swelling in the knee region. When it comes to the size of the knee brace, the decision should not be made carelessly. There is no room for approximation game while picking a knee brace since that can make all the difference between a right or wrong knee brace for us. The size of the knee brace takes into account the dimension of our knees, calf, thigh, leg and the area around the knee in some cases. Different kinds of knee braces rely on different knee dimensions to offer us that snug fit. And that is why it is important to be really sure about the knee brace we are about to purchase, size-wise. When confused between two close sizes, it is always better to go with the bigger size. The smaller size selection may later cause trouble by constricting our nerves and the knee region too tight for comfort. It is always better to go with a knee brace size that hits the right spot between rigid and flexible. Often, we don’t get to have both these options with our size selection. In that case, we have to make a choice between the support and the flexibility that comes with the use of knee braces. The size of the knee brace is decided by the circumference of the knee below the kneecap. This is the best way to measure the knee brace size most comfortable for us. The snugness of the brace should not go to the point where it cuts off the circulation through our knees. If that happens then it is the time to loosen up the straps and look for a bigger size that is rigid but not to the point that we feel numb in the knee region altogether. Compression sleeves offer maximum flexibility and free range of motion. But, we can’t rely much on them for providing advanced support. The best of the knee braces can be bought with just a single click at the moment. But before that, it is important to do a quick search for each of the top contenders. Below is a list of our top 5 picks. Among the various knee sleeves present in the market today, the Winzone Knee Brace Support Sleeve makes quite a statement. It is highly durable, comfortable and can be used during various high-stress physical activities. It comes at an affordable price range while giving us the benefits of a much expensive version. Extremely easy to use, it slips on and off in mere seconds. It is totally machine washable that makes its use all the more sanitary. Arthritis, ACL, Meniscus Tear and other kinds of knee-related troubles can easily be managed with its help. The well designed and non-bulky structure of this sleeve is perfect to give us a comfortable fit. Made completely of neoprene, it retains the heat to heal the pain and swelling in a swift manner. The size chart can be quite deceiving since the sizes run smaller than the standard measurements. Velcro on the sleeves does not last for long rendering the entire sleeve useless grip-wise after a while. The Ultra Flex Athletics Knee Compression Sleeve is made up of a blend of latex and spandex. This offers maximum elasticity thus making it perfect to be used by men, women, and kids. The design process for this product involved combining the newest 3D technology with the best quality materials to come up with a remarkable product. The standardized size chart helps us to pick the right size of knee brace without any hassles. It exerts a certain heating effect upon the injury that helps to reduce the inflammation and pain quickly. Anti-slip silicone offers that stable compression during various activities such as gym time, squats, weightlifting, yoga, fitness. Can be used for a speedy recovery while dealing with the runners & jumpers knee, arthritis, and tendonitis. The non-bulky texture has been made possible by using professional grade material including the nylon and lycra blend. Some people might be allergic to the material being used in its creations. The compression delivered by this sleeve is not up to the mark and may leave you wanting a better grip. The knee strap brace comes with the 100% Money Back Guarantee which states how confident are the manufacturers of their product. It is a heavy duty knee brace that has been designed to be perfect for everyday wear and even to heal those stretched out injuries. Perfect to use outdoors, in the gym or even just to take a stroll outside. Made up of completely smooth and lightweight material, it wraps around the knee without causing any kind of irritation. The reinforces stitching all over this brace allows us to tighten or loosen it according to our requirements. The adjustable straps make it suitable for everyone from kids to adults without any problem with the size adjustment. Used mainly to provide the professional protection to the knees and alleviate the pressure applied at wrong angles. Comes with a resilient compression pad that absorbs all kinds of shock around the patella region of the knee. A bit bulky hence it is not possible to wear them underneath the jeans or trousers without them being noticeable. The pressure points created by this brace is too small and hence not useful when engaging in high-intensity physical activities. This knee strap comes with a patented technology that is used to offer a full range of motion without compromising upon the grip. Designed by a renowned orthodontist, it employs the technique of dispersing the pain and hence relieving stress a lot faster than its counterparts. It applies constant dynamic forces all over the knee so that we can perform all kinds of activities easily. Its extremely comfortable fit is known to give that seamless look even if we choose the wear underneath. The adjustable straps make it possible to easily take it off and put it on whenever required. Patented technology used in its creation offers maximum support below and above the kneecap without any sort of movement restriction. Using it regularly helps while dealing with all kinds of knee troubles including the Patellar tendonitis, walking downstairs, unilateral knee replacement, torn PCL, distance runners, osteoarthritis, Osgood Schlatter disease and pain above/below the knee. This strap offers all-around knee support that helps in reducing the stress over patella tendon and also slows down the erosion under the kneecap surface with repetitive knee movements. The fits of the brace are not good enough to stay in the right place for a long duration of time. Size of the brace tends to run small and might make the knee hurt more than before. These braves have been designed specially to bring relief to the people suffering from weakness, injury or arthritis. Its strategic design helps in healing the current injury quickly and also discourage any new injuries from appearing. Aluminum hinges have been installed within it to reduce the levels of lateral knee movement. Comes with a sixty day no questions asked guarantee that will help the customers to order it with more confidence. Removable aluminum hinges are present on both sides of the brace that help in moderating the amount of support required. High-quality compression material being used offers support to the injured ligaments, muscles and tendon. Extremely lightweight and breathable neoprene have been used in its creation that makes it possible to wear it all day without any trouble. The presence of top and bottom straps make it possible for us to get that customized fit that removes the requirement of constant adjustment completely. The built of this brace is a bit bulky which makes it difficult to wear it on a daily basis for a longer duration. Aluminum hinges are very weak and not able to provide the amount of support required while wearing these braces. Don’t let your bad knees stop you from enjoying life to the fullest. Just follow a few key steps mentioned below to enjoy hiking as you used to before your knees started troubling you. With just a little bit of caution, we can easily escape many horrible injuries. People usually don’t pay much attention during the downhill process. It is during the descent that our knees suffer the most. We might not have to exert much pressure to climb down a hill or landscape. But the combined impact of a rough terrain and the gravity can seriously damage our knees over multiple occurrences. This is why is it is better to pick a smoother route downhill. Our knees will thank us later for this wise decision. Our brain gets sharper and our body gets stronger with constant use. A daily exercise with increasing difficulty level is what keeps our body in its best form. So if we have weak legs or bad knees then we can try some sort of exercise to make them stronger over time. Unless we are seriously injured, we can always adopt some sort of exercise routine to keep our legs and knees in top condition. This will help us brave the difficult conditions without breaking down too soon under consistent pressure. Last but not the least, the external support in the form of knee braces and trekking poles can be used to save our knees from overexertion. The stress of our tired body and the rough area will be distributed all over our body with the help of trekking poles. And the knee braces will absorb the shocks and jerks that our knee would otherwise have to bear as we hike far and wide. Every wide-eyed explorer absolutely needs that unquenchable curiosity and a pair of strong knees. As a traveler, we never want to stop and stay in the same place for long. Since we never know when the journey of our life might get over, the Vice Hinged Knee Brace or something close must always be there to keep us going! This brings us to the end of this post. Did you have fun reading it? Was it helpful to you in any way? If yes then do forward it on your socials and share the information with your family and friends. Tell us your favorite pick in terms of knee braces in the comment section below.